A cute story about the states if they got "scrambled." 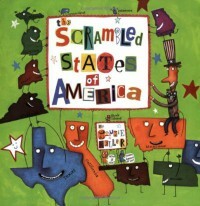 My CT in 1st grade last semester used this book as a way to introduce their maps unit and the kids loved it. They watched a cute video story of it online and it was so cute. I think this is a great book for introducing states, maps, and geography for the lower grades.